Do you feel tense and stiff around your neck and shoulders? Are you suffering from regular headaches or having trouble sleeping? Have you experienced reduced movement or felt a sharp pain when reaching or turning your head? Neck and shoulder pain are commonly linked and can make everyday activities very painful and tiring. 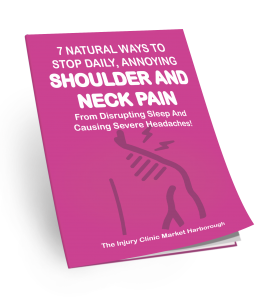 So, if you suffer with neck and shoulder problems, it could be time to get to the bottom of your pain and get on with living your life without restrictions. Most people will suffer with neck and shoulder problems at some point in their lifetime, whether they’re brought on through stress, work, exercise or postural problems. It’s common for muscles around the neck and shoulder to become tight and pull, which can make normal activities very painful and you may find driving, typing, or even getting dressed a challenge. In today’s busy society, more people spend a large portion of their time looking down at computer screens, laptops, tablets and mobiles, in unnatural positions that strain muscles and build tension. This can cause neck and shoulder pain that varies in intensity, ranging from mild stiffness to extreme, limiting pain. Often pain and stiffness can recur and treatments – such as anti-inflammatory tablets, ice and heat packs or rest – provide short lived relief. When issues arise, they can impact the quality of your life, preventing you from taking part in your favourite activities and even stopping you from carrying out basic daily tasks. When neck or shoulder pain comes on, seeking the appropriate care and treatment can make a real difference to your pain levels and recovery. At The Injury Clinic Market Harborough we’ve helped hundreds of local people to live pain free, removing the need for painkillers, visits to the doctors or time off work. We understand that pain can be tiring and impact your mood and, often, you want to get back to what you enjoy doing most – or even doing simple things like washing your hair. That’s why we focus our treatment plans on a combination of exercise and therapy techniques derived from physiotherapy, osteopathy and chiropractics, designed to get you feeling more like yourself again. We’re passionate about giving you a long-term solution that will help you live pain free, keep you mobile and get you back doing what you love. Whatever your neck and shoulder pain, we’re here to help. "Absolutely fabulous place! informative, very friendly and has worked miracles for me and my 10 year old son. They used acupuncture to treat my rotator cuff and is still in the process of treating my injured son but he's already much better after just one session. Would highly recommend!" "I am truely shocked with how much The Injury Clinic were able to do. I haven't been able to lie on my side for 6 months but last night I managed it and there was barely any pain. Can't wait to see what a few more sessions can do!" If you can say yes to any of the above then our neck and shoulder treatment service is right for you. 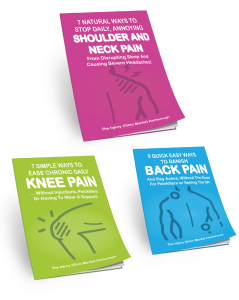 When neck and shoulder pain stops you from doing the things you love, whether it’s keeping up with the kids, walking the dog, playing golf or running a marathon, it’s time to take action. …From Disrupting Sleep And Causing Severe Headaches!